Shahnaz Zuriati Binti Sabri graduated with Bachelor of Law (LL.B (Hons)) and Master of Comparative Laws (MCL) from the International Islamic University Malaysia (IIUM). She was admitted to the Malaysian Bar as an Advocate and Solicitor in 1993 and thereafter practised as an Advocate & Solicitor handling civil litigation and conveyancing matters for more than 15 years. 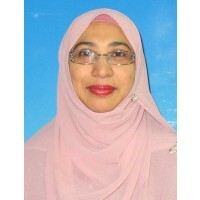 In her years of practice she has also advised corporate clients such as CIMB Bank, Bank Islam Malaysia Berhad, Universiti Utara Malaysia, Celcom, Penang Port Berhad and Majlis Perbandaran Sungai Petani and Pulau Pinang. In 2 ... show more 010 she joined the Ahmad Ibrahim Kulliyyah of Laws, International Islamic University Malaysia as an academic fellow teaching adjective laws and practical legal skills. She is currently a panel member of the Disciplinary Committee for Advocates & Solicitors Disciplinary Board and a Certified Trainer of the Construction Industry Development Board Malaysia.